You could probably call Israel an island country. Although geographically we’re wedged at the juncture of Europe, Asia and Africa, Israel often feels more remote than New Zealand. To the West and South there’s sea; to the South-West a cold, uneasy peace, and to the East a domineered people and another absence of war. There’s nowhere to easily travel to – even Sinai, so long a dominion, is now out of bounds – and venturing beyond the borders usually involves a connect-the-dots approach and an over familiarity with the world’s airports. 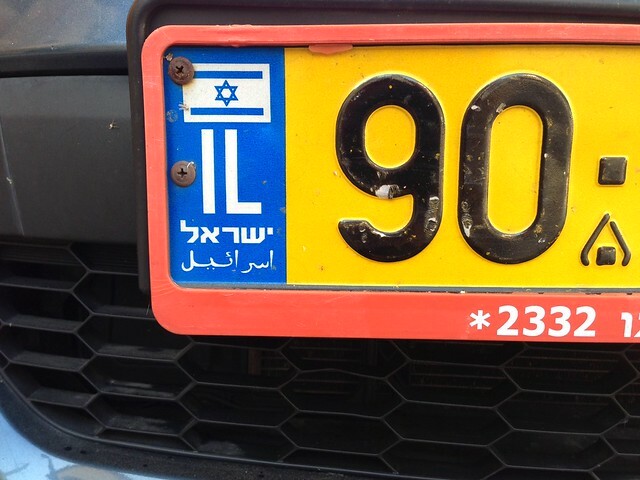 So why does every car in Israel sport a little blue and white flag with the word “Israel” in Hebrew, Arabic, and abbreviated English? Some will argue it’s for easy identification of Palestinian vehicles (almost unheard of west of the Green Line but ubiquitous on West Bank roads), but really, how close is the black-on-yellow to the green-on-white? Instead, I believe it’s a kind of dream state, whereby everyone here actually believes that one day they’ll be able to get in their cars and enjoy a night’s clubbing in Beirut or a quick drive-by at the Pyramids. Either that, or a colossal earthquake will connect Haifa to Athens. 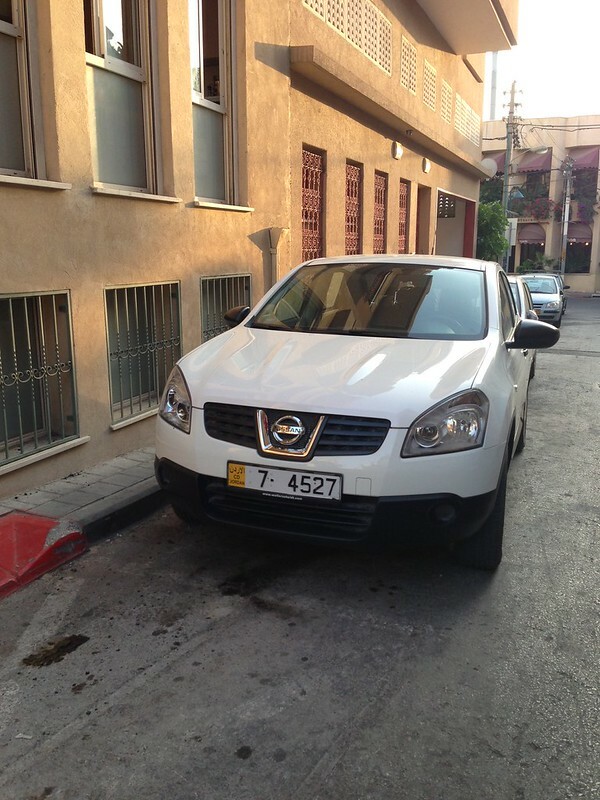 If the cars in Europe need distinctive identification, the thinking goes, so do we here in Israel. Of course, it’s a kind of national psychosis. The responsibility for the region’s eternal stalemate is not an issue for this blog, but let’s face it: it’s not gonna be over any time soon. Hell, even travelling to our ‘friend’ Jordan to the east requires a quick swap of license plates and a file of paperwork. I’m not sure what the process is like in reverse, but I’ve seen exponentially more UN vehicles in Tel-Aviv than I have Jordanian.